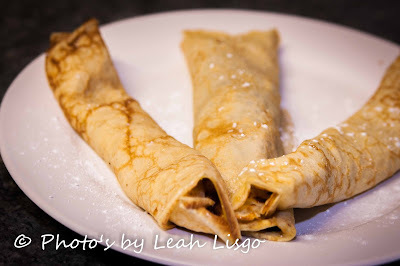 Pancake day, other wise known as Shrove Tuesday, Pancake Tuesday, Mardi Gras (Fat Tuesday) or Jif lemon day. I've had the below recipe pinned on Pinterest for almost a year, so today seemed like the perfect day to try it out. There are so many different toppings you can have, but a must have is lemon and sugar. English pancakes with lemon and sugar takes me back to my childhood, when we only had them once a year. Today's toppings were lemon and sugar and banana and nutella....YUM!